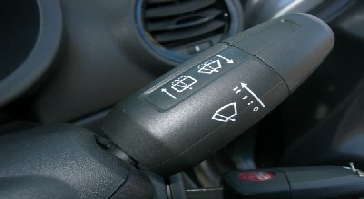 Pull Right Lever towards you to clean front windscreen. 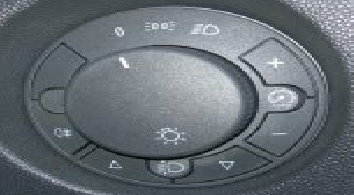 Push Right lever away from you to clean back windscreen. Turn light switch all the way to the right clockwise to check headlights and tail lights are working.